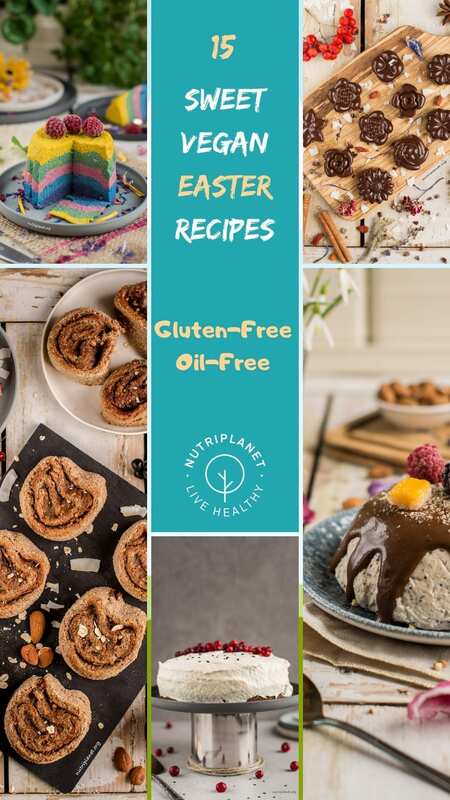 Check out those delicious and festive sweet gluten-free vegan Easter recipes that all your family will love. 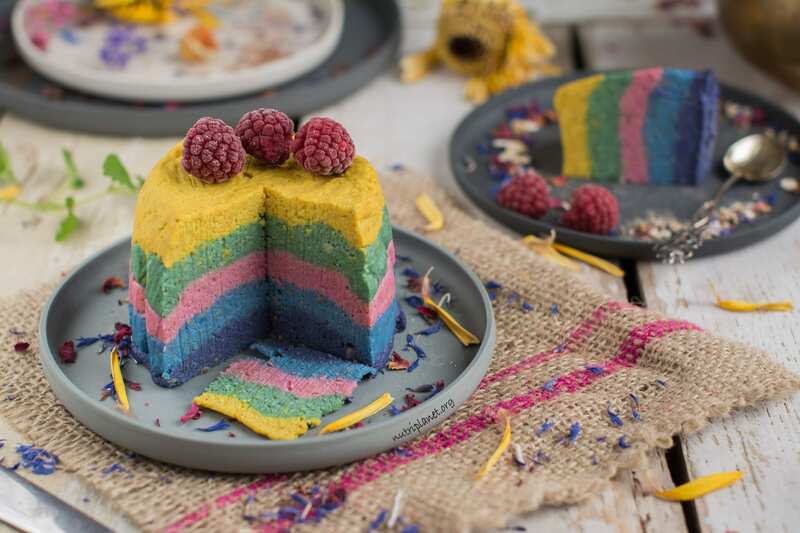 Whether you’re into raw or baked cheesecakes, pancakes, candies, carrot cake, lemon cake, peanut butter cups, brownies or cookies, you’ll find a yummy recipe in this vegan Easter recipes round-up. 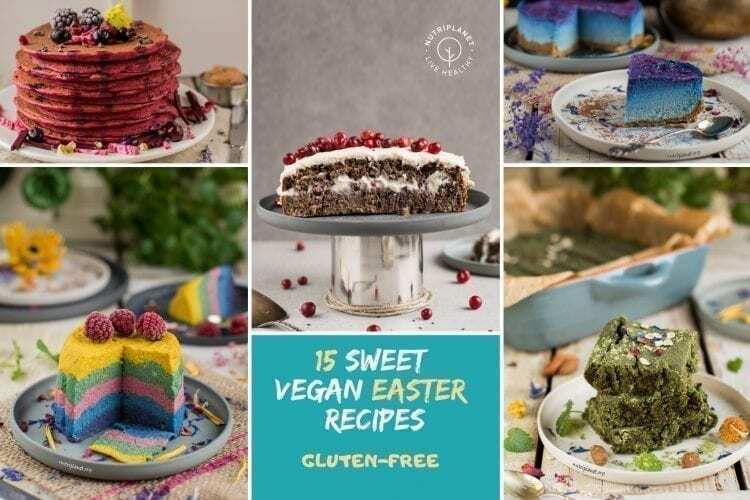 I’ve gathered together all my favourite sweet and healthy vegan Easter recipes that I’ve created over the past years. All the below recipes are gluten-free, oil-free and refined sugar free, most are also suitable on Candida diet. 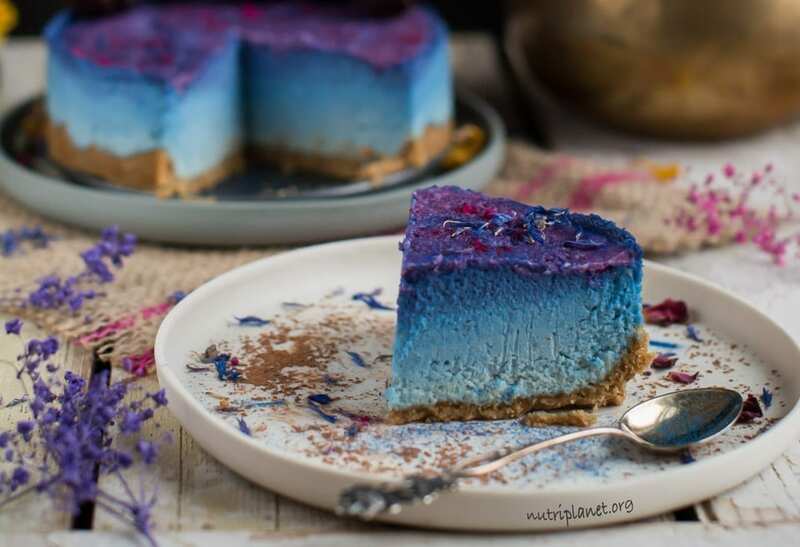 Let’s start with this raw vegan cheesecake that doesn’t contain refined sugars or oils. Yet, it has perfect consistency allowing you to cut the thinnest slices without causing the cake to fall apart. And it doesn’t even need freezing! 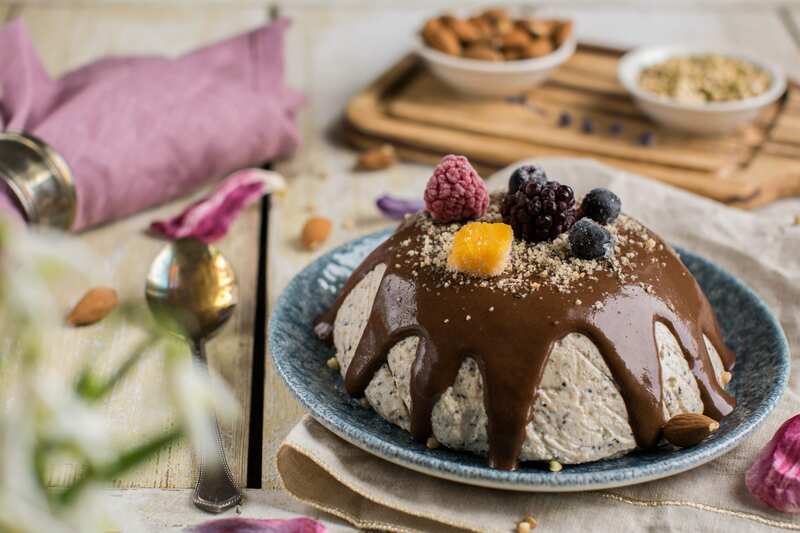 The next vegan Easter recipe is creamy, chocolaty and delicious yet oil-free, gluten-free and Candida diet friendly raw Easter Cheesecake Pascha with the crunch of poppy seeds. 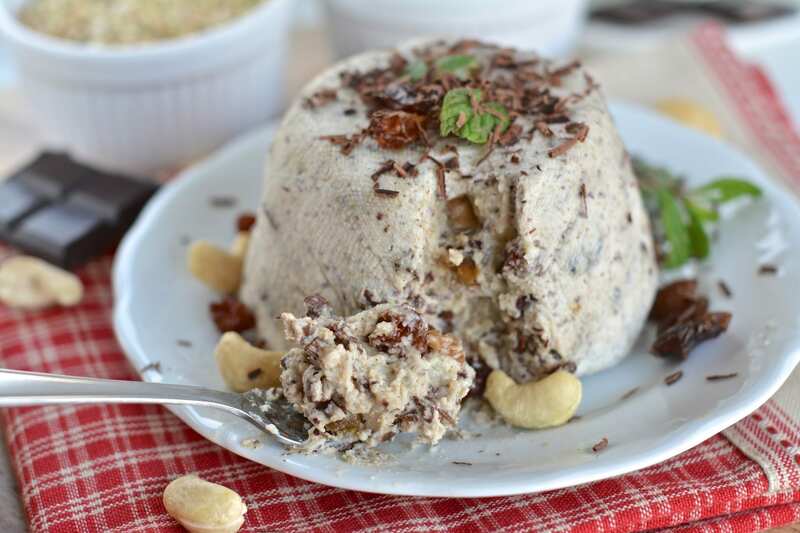 For you information, Pascha is a traditional Easter dessert made of cottage cheese, cream, butter and sometimes also egg yolks + loads of sugar and dried fruits. Needless to say, I wanted to create a much-much leaner vegan Easter cheesecake Pascha without compromising the creaminess or flavour. This was my first ever vegan Easter recipe! 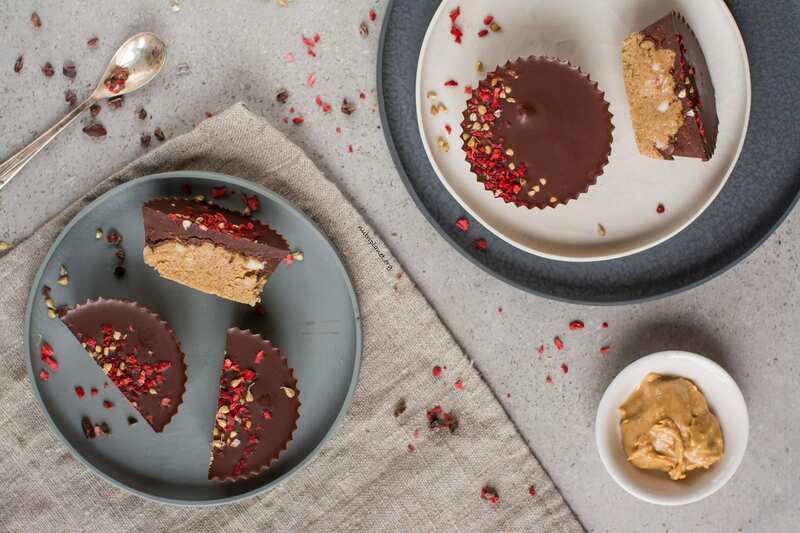 Next up is this plant-based Easter Chocolate Cheesecake Pascha that is oil-free and uses no artificial sweeteners, and is yet very hearty and rich in flavours. 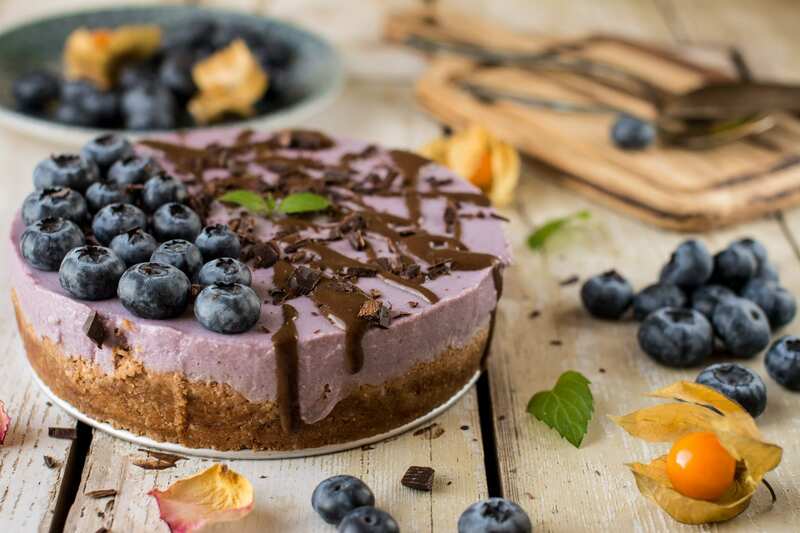 I give you no-bake gluten free vegan cheesecake recipe that is also refined sugar free and Candida diet friendly. It is delicious and has perfect texture, i.e. it doesn’t fall apart when kept out of freezer for a period of time. And now, one of my favourite recipes from 2018! 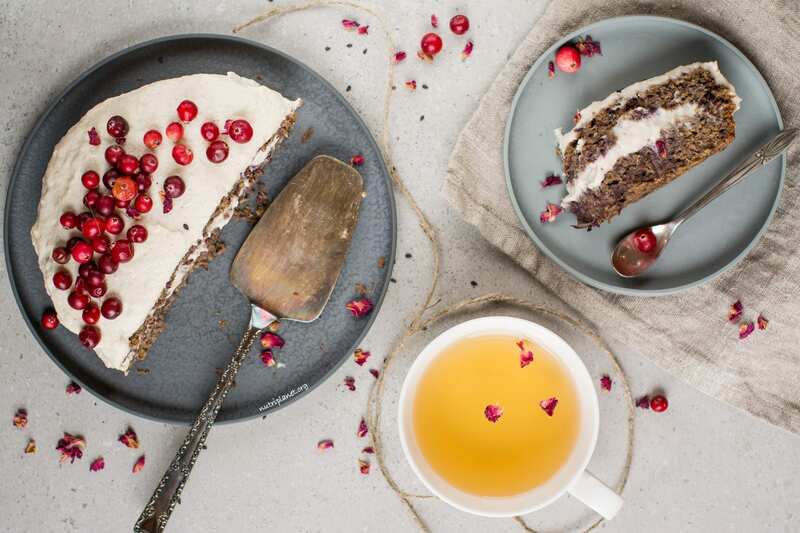 This healthy gluten-free vegan carrot cake absolutely blew my mind with its lemony cream cheese frosting and cranberries hidden inside. I’m sure it would make a perfect vegan Easter dessert. 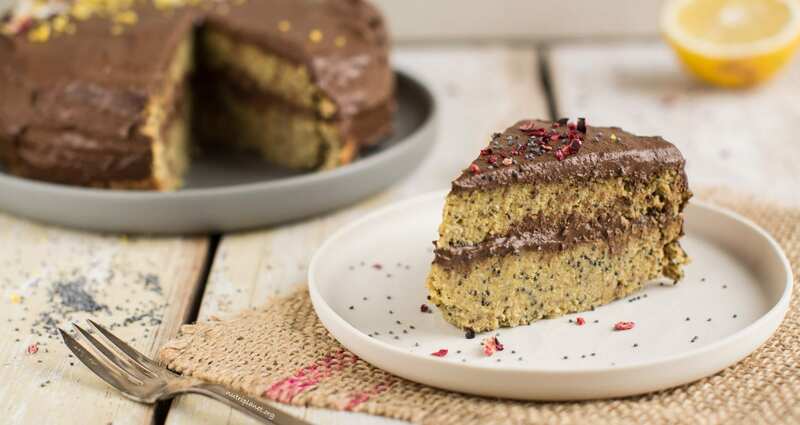 Yet another favourite cake form last year 🙂 Check out this easy recipe for gluten-free vegan lemon cake with poppy seeds. It comes with chocolate frosting and tons of healthy legumes and veggies hidden inside while all the oils and refined sugars are left out. You won’t be able to resist the delicate lemon flavour combined with creamy-dreamy chocolate topping. I must warn you! The next recipe is highly addictive and you won’t be able to stop at one cup! You’ll find them irresistible as the peanut butter filling is perfectly sweet, salted and caramelly at the same time. Take out the 9 ingredients (+ salt and sweetener), a few bowls and spoons and make your afternoon tea something to look forward to. And they’d make a delicious vegan Easter treat as well! Next up, is this indescribably delicious vegan tofu cheesecake with purple sweet potato and creamed coconut. 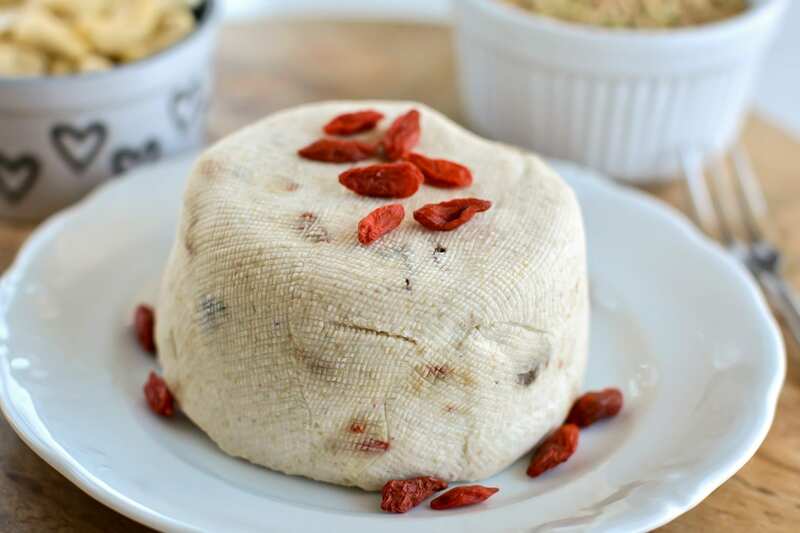 It is a vegan cheesecake that is gluten-free, oil-free, Candida diet friendly. I understand that pancakes might be the perfect vegan Easter recipe for you! 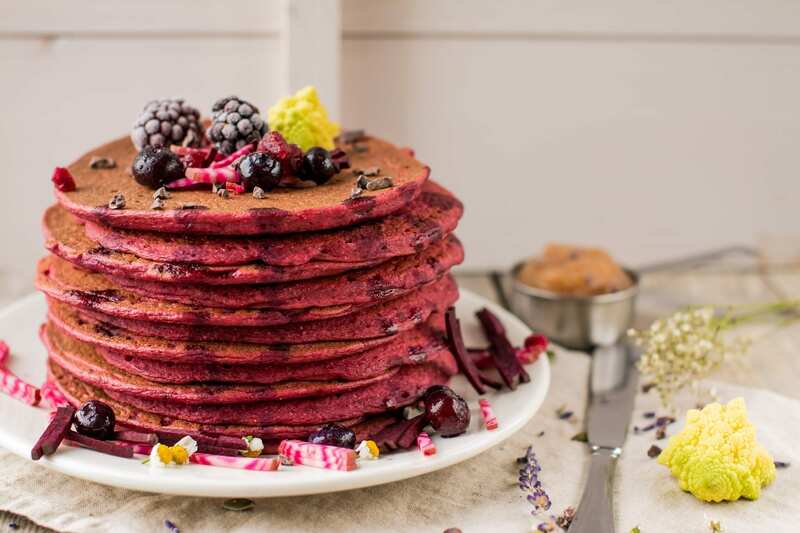 So, enjoy those tofu and beet pancakes that have the sweetest colour. 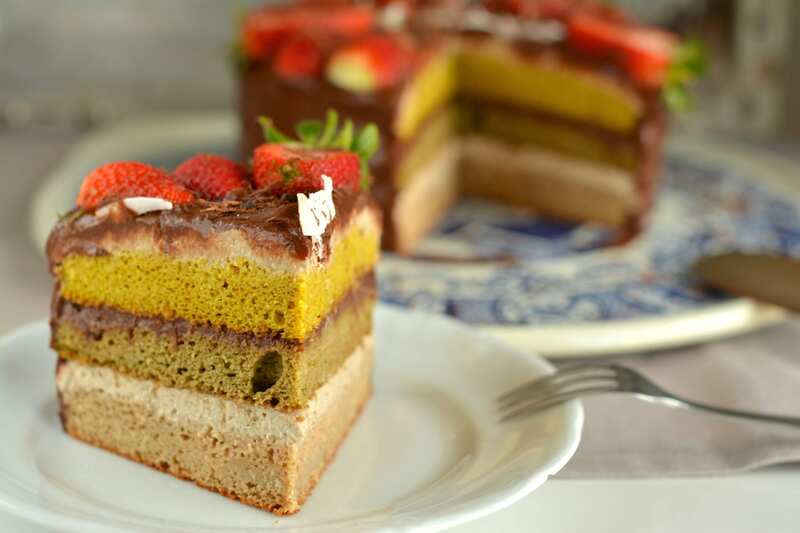 Welcome spring with coloured layers’ Ricotta-Chocolate Sponge Cake that is vegan, gluten-free and oil-free, but above all delicious! Green is one of the most dominant colours in spring, isn’t it so? 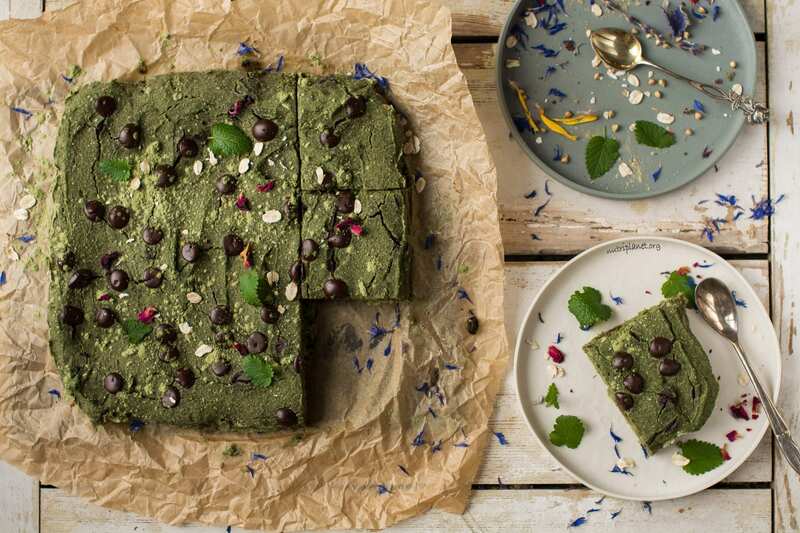 Why not celebrate vegan Easter with those perfectly minty and gooey vegan gluten-free chocolate mint brownies aka greenies that use no refined sugar or artificial food colouring! 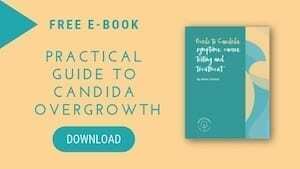 Moreover, they can also be enjoyed on Candida diet. 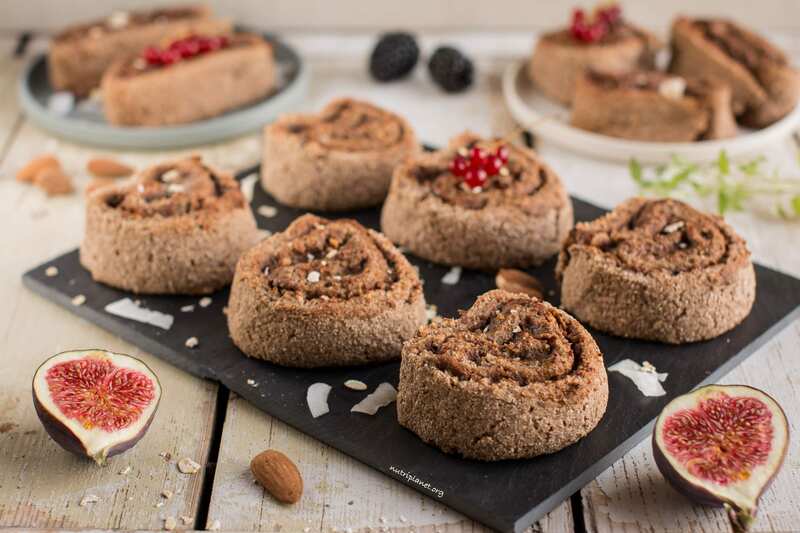 Next, I give you mind blowing no yeast gluten-free vegan cinnamon rolls that you’ll definitely fall in love with. My recipe uses no refined sugar or vegan butter, but is yet so hearty, moist and filling. I think candies are good for almost any occasion, including vegan Easter! 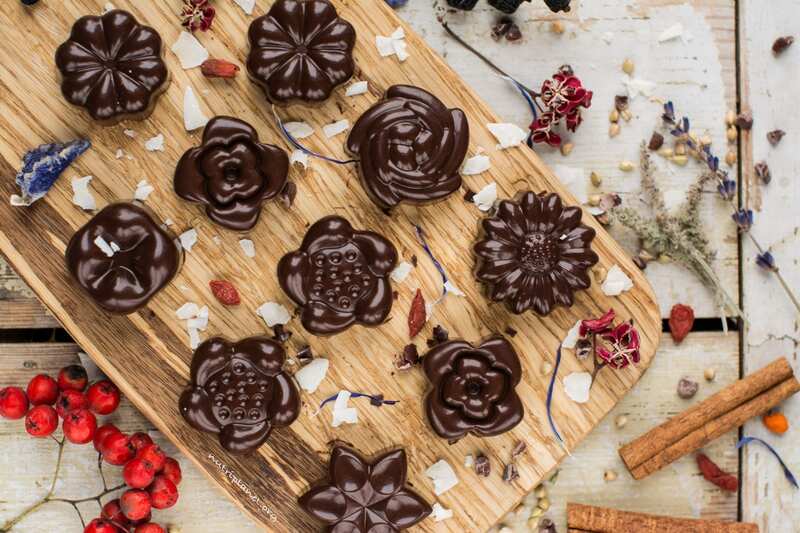 So, try those easy and delicious raw chocolate candies with the boost of superfoods – simply to die for! Gluten-free, refined sugar free and Candida diet friendly. And finally, something for all the cookies-lovers! 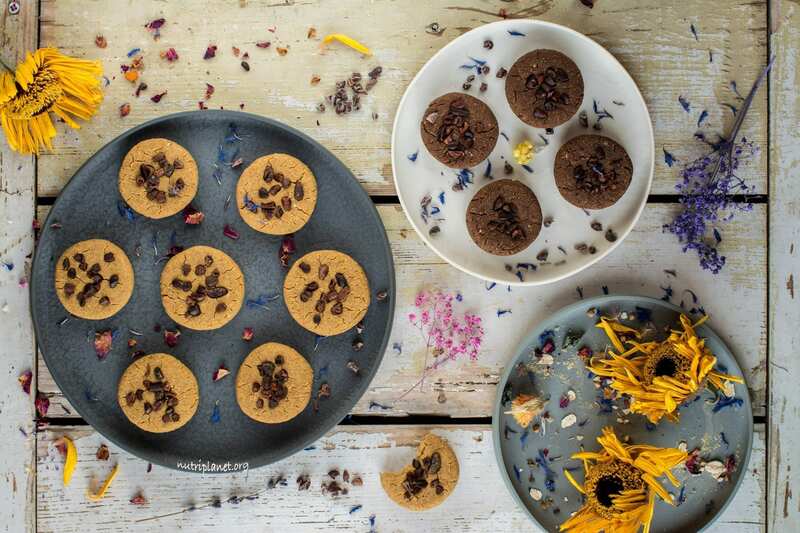 Gooey and soft vegan gluten free chickpea cookie dough bites aka chickpea cookies that are refined sugar free, oil free, quite low fat and Candida diet friendly.